Working Hard for the Money – The Account of an Undercover Service Professional – TAM Card® Nation in Vegas! Looking to find a job working on the wait staff at one of Las Vegas’ trendy clubs? Working as a service professional can be rewarding, challenging, and fast-paced. We all know that servers, bartenders, security officers and just about everyone else in this industry often spend all night on their feet working to make sure their guests are having an excellent time in a safe and pleasant atmosphere, all with a smile on their faces. Reporter Steve Bertoni recently went to work undercover as a bus boy at The Bank Nightclub in Las Vegas. He wrote about his experience for Fobes.com, and it’s clear he’s gained a newfound appreciation for just how hard a service professional works in this town. Check out his article, “Inside the Vegas Party Machine,” for his first-hand account of the rigors he went through; from his training to upsell services, to requirements to maintain an extreme attention to detail in all areas of service. We think this is a great in-depth view of what an average day can look like for a bus boy, and readers will see just how hard service professionals work. Don’t forget, in order to work in the hospitality industry in Nevada, you’ll need to obtain your Health Card, and your Alcohol Awareness Card. You can obtain your alcohol awareness card online or in-person from TAM® of Nevada. 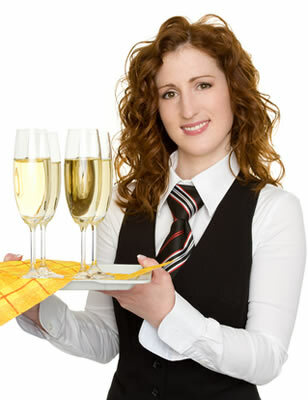 It’s the first of several steps to becoming a stellar hospitality professional. Do you think Steve Bertoni’s account of his time on the job is a realistic portrayal of the service industry? What type of on-the-job training have you been through prior to the start of work? Previous Promote Nevada as a Safe Vacation Spot!